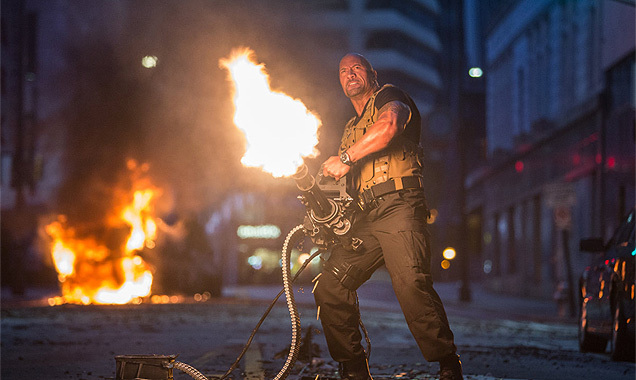 Dwayne Johnson is to take the lead in 'Rampage'. 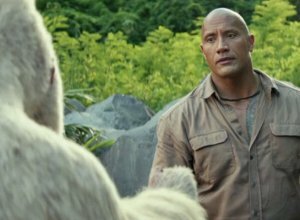 Dwayne Johnson is about to protect America from a gorilla, a lizard and a wolf in a big-screen adaptation of the 1980s arcade game Rampage. Johnson is reteaming with his San Andreas producer Beau Flynn for the action movie, which is set to start production next summer. The script is to be written by Ryan Engle, who penned the Liam Neeson thriller Non-Stop, though a director is yet to be announced. 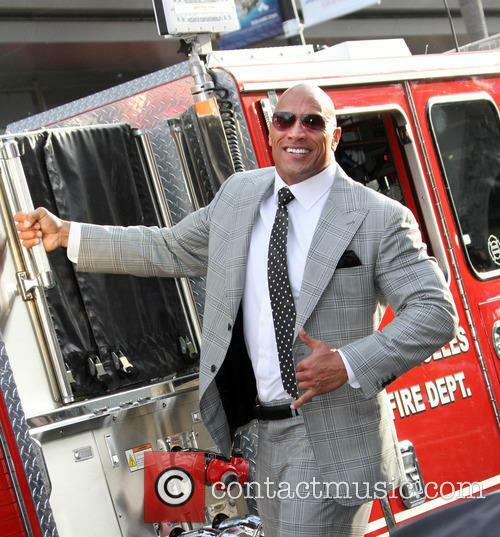 Dwayne 'The Rock' Johnson Didn't Have To Pay Compensation For Hitting A Car - But How? 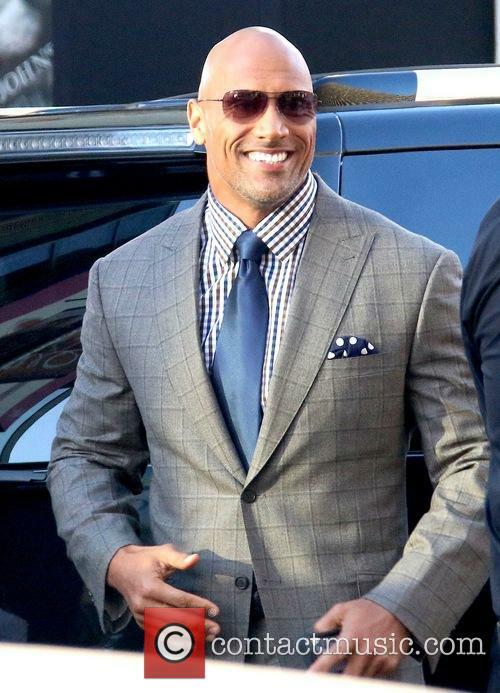 The Rock clipped somebody's wing mirror on the way to the set of his new movie 'Central Intelligence' back in May, but he managed to charm his way out of it. 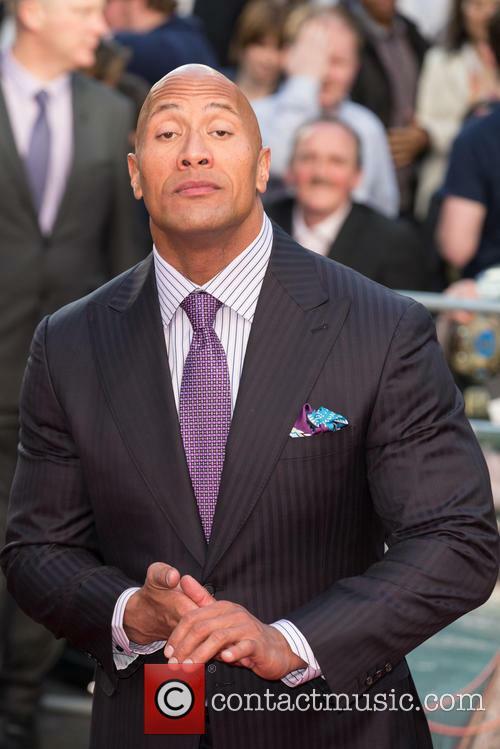 Dwayne ‘The Rock’ Johnson was fortunate to get away pretty lightly when he hit another car a few weeks ago after the owner of the other vehicle refused to accept payment – because he was a huge fan of the actor! 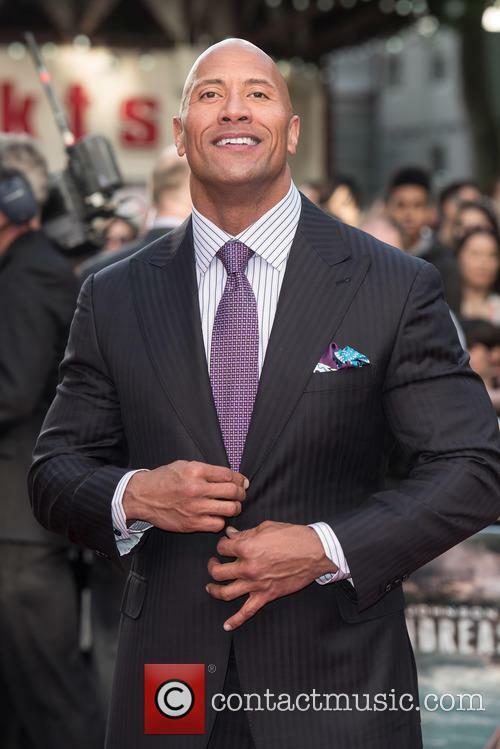 Continue reading: Dwayne 'The Rock' Johnson Didn't Have To Pay Compensation For Hitting A Car - But How? 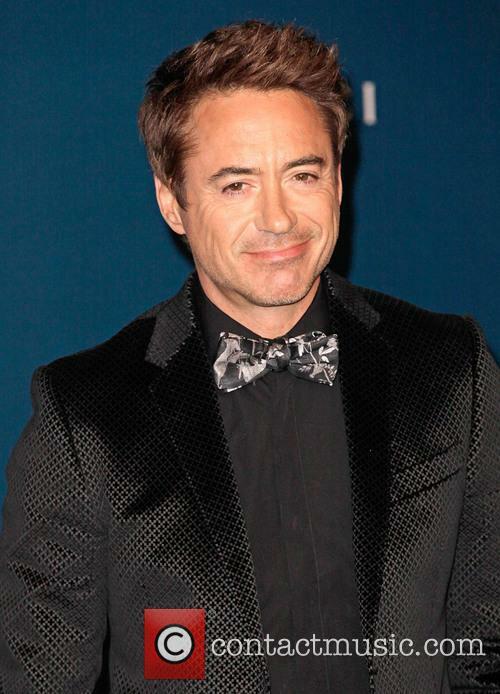 The star-studded special was announced during Saturday night’s Spike TV Guy’s Choice Awards. 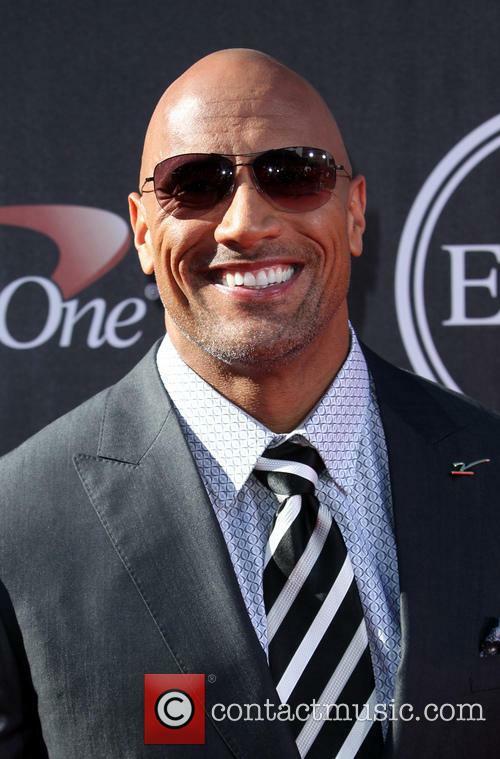 Dwayne ‘The Rock’ Johnson had a very special announcement during Saturday night’s Guy’s Choice Awards on Spike TV, as the action star unveiled his latest project, a star packed variety show titled 'Rock the Troops'. The show, which will air on Veteran’s Day next year, will entertain and support U.S. troops stationed overseas and will be filmed on location at a military base to be announced soon. 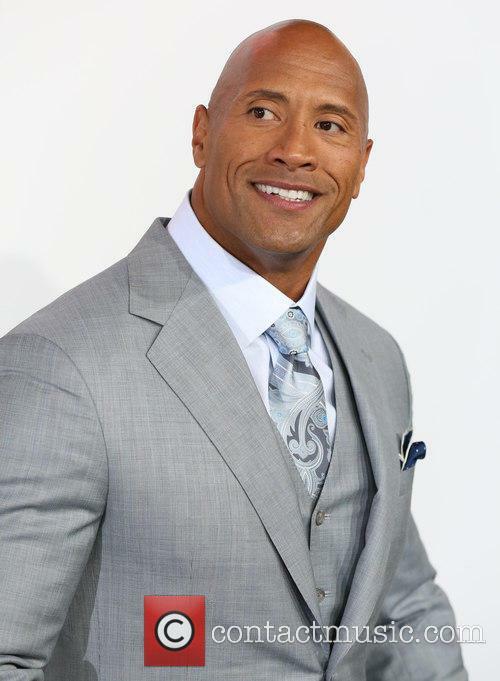 Dwayne Johnson will be rocking the troops next Veteran’s Day. Horror takes on comedy in cinemas this weekend, but there's no clear winner based on Friday's estimates. As ticket sales for Dwayne Johnson's San Andreas cool off a little, two very different films are vying for the number-one spot this week: the third (but probably not the last) instalment of the Insidious horror series, and Melissa McCarthy's crime comedy Spy. And they're neck and neck after one day in cinemas according to Box Office Mojo - Insidious has made $10.4million, while Spy is slightly behind with $10.25m. The directorial debut of actor-writer Leigh Whannell, Insidious: Chapter 3 has received a warmer critical reception than many people expected, but its opening-day haul is roughly half what the second film in the series made in its first 24 hours, meaning it will likely end the weekend with a considerably lower total than Chapter 2's $40.3m. Dwayne Johnson has done it again at the box-office. 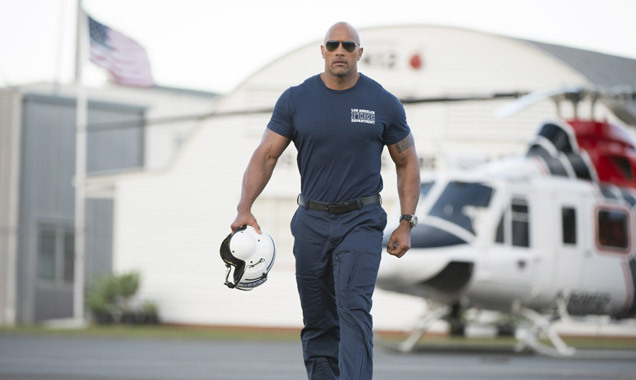 The earthquake disaster movie San Andreas has stormed the U.S box office, taking $53.2 million to further establish Dwayne Johnson as one of the most bankable stars in Hollywood. San Andreas knocked last week's number-one, Tomorrowland, into third place, with Pitch Perfect 2 in second. San Andreas' success allayed fears that audiences in quake-prone regions would actively avoid the film. 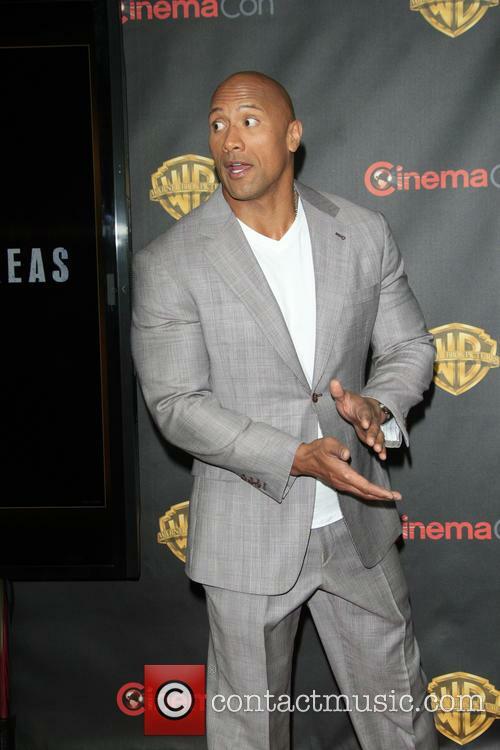 Let The Rock teach you a thing or two about earthquakes. 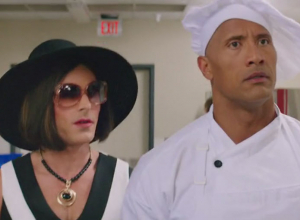 This year’s recipe for a successful movie really has only one ingredient: The Rock. 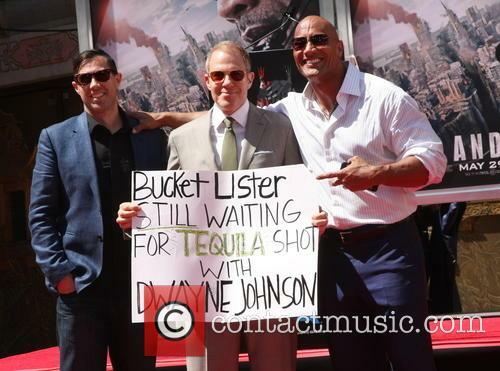 I don’t know when a former WWE wrestler-turned-comic-relief-go-to became The Guy to call for a blockbuster project, but it is what it is. Case in point: San Andreas, which scored an easy victory at the box office this weekend. With $53,2 million in domestic earnings, the earthquake disaster flick brought the thunder (or the shake, if you will) to the box office over the last weekend of May. According to Forbes, the movie went above and beyond early tracking predictions. Melissa McCarthy made a name for herself in 'Bridesmaids', and is now getting a chance to hold a movie up on her name alone. 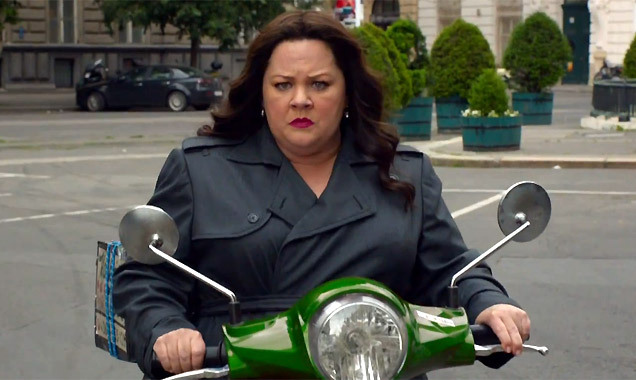 Melissa McCarthy's new action-comedy 'Spy' marks a leap in her career from supporting goofball (she was Oscar nominated for 'Bridesmaids') to co-lead (alongside Sandra Bullock in 'The Heat') and now to carrying a major blockbuster on her own shoulders. It's no coincidence that all three of these movies are directed by Paul Feig, a filmmaker who has long thought that more films should be centred on strong, funny women. McCarthy grew up in Illinois, and describes her family as "a bunch of funny men who think women are really funny. I didn't grow up with a sense that people thought any differently." Dwayne 'The Rock' Johnson has been on fire this summer, with multiple box-office smash-hits and a Guinness World Record - where can it go from here? Dwayne Johnson has already conquered the 2015 box office with 'Furious 7', and now his next huge blockbuster 'San Andreas' is rumbling into cinemas. He also just set a Guinness World Record by taking 105 selfies in three minutes at the film's premiere. Clearly life is good for the 6-foot-4 former wrestler, who at 43 shows no sign of slowing down. Johnson enjoyed the challenge of making 'San Andreas'. "It's been a long time since there had been an earthquake movie - 1972 was the last Earthquake movie," he says. "There's an expectation, so we want to meet that expectation in terms of heroic characters across the board, all of them having the core of heart. But we also wanted to exceed the expectations too." 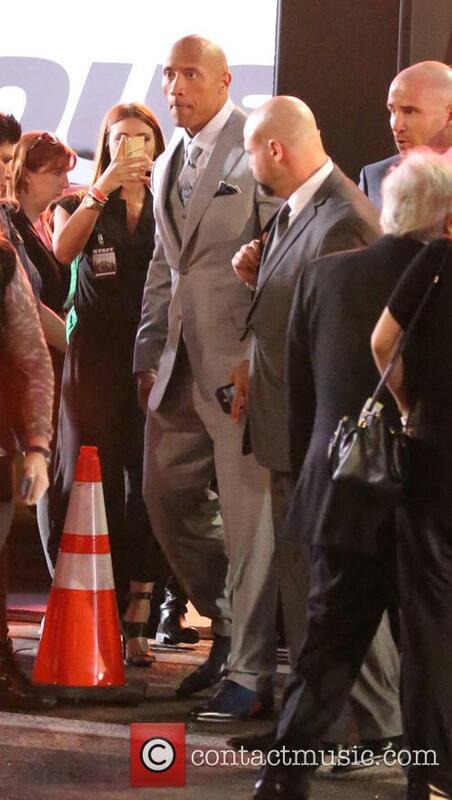 Dwayne Johnson connects with 'San Andreas' character on many levels. 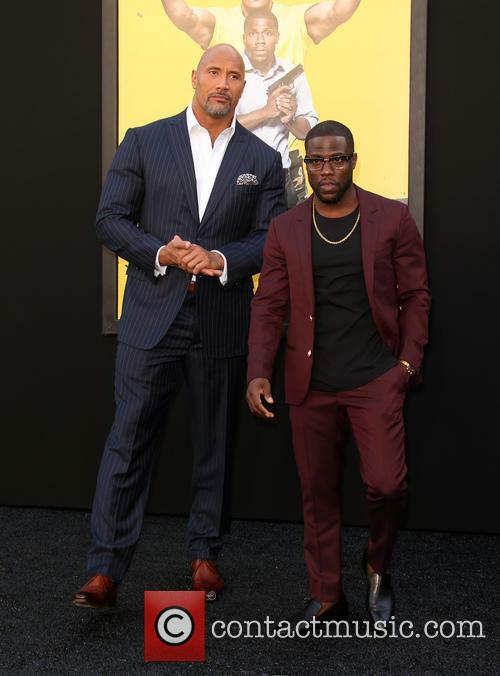 Dwayne Johnson opens up about how events in his personal life helped him connect to the problems of single father rescue pilot Ray Gaines in his new earthquake thriller 'San Andreas'; his second movie with director Brad Peyton which hits the UK today. 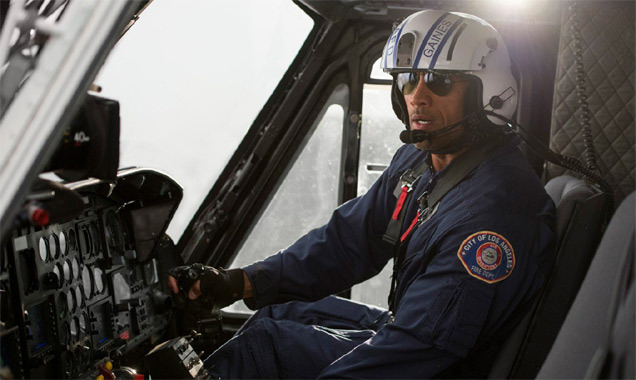 The movie sees a first responder helicopter pilot on a journey to rescue his estranged daughter following a devastating earthquake along the San Andreas fault in California. And while Dwayne Johnson might never have been stuck in a natural disaster of this scale himself, he certainly knows what it's like to experience the deeper issues that Ray Gaines is going through. 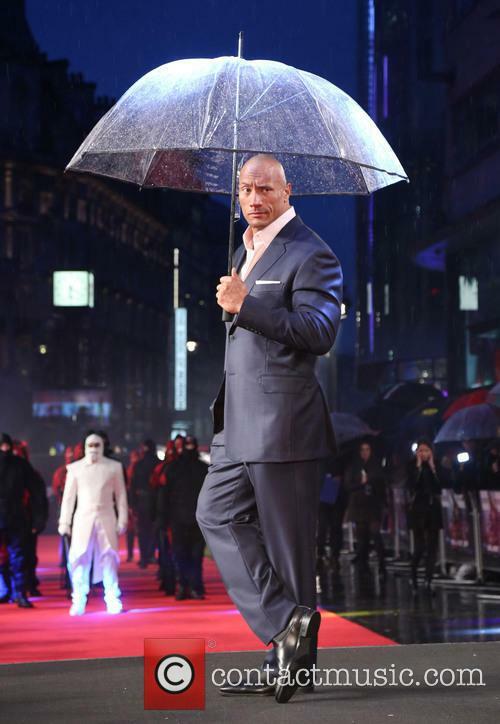 The Rock was cooking a whole load of selfies at the London premiere of ‘San Andreas’. Movie star, pro wrestler and now undisputed selfie king!! Yes move over Kim Kardashian, because when it comes to selfies, DWAYNE 'THE ROCK' JOHNSON officially rules. 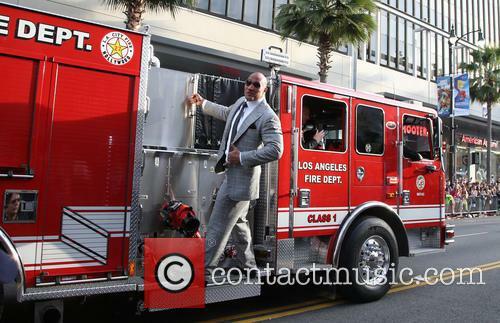 At the London premiere of his new movie San Andreas on Thursday, Johnson entered himself into the record books, breaking the Guinness World Record, for most selfies taken in a three minute period. Johnson now holds the world record for most selfies in three minutes. Johnson managed to snap 105 selfies in the three minutes, posing with fans who had queued for hours to get an up close look at the action star. But before you think that getting a record breaking amount of selfies in just three minutes was an easy task, let us assure you it what all very scientific. Dwayne Johnson made a fan's day when he got ordained in order to officiate his surprise wedding! Dwayne Johnson surprised one of his biggest fans by officiating his wedding. Johnson has frequently been interviewed by comedian Nick Mundy for the online magazine and YouTube channel, Screen Junkies. Mundy was in for the biggest surprise of his life when his co-workers at Screen Junkies set up Mundy and secretly arranged his wedding with a little help with Johnson. Dawyne Johnson was ordained so he could officiate a fan's wedding. 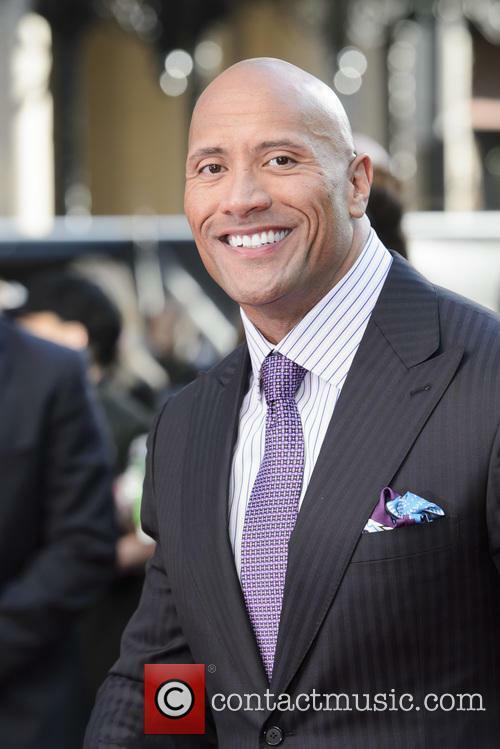 Read More: Dwayne Johnson Reprising Hobbs Role In Furious 8. 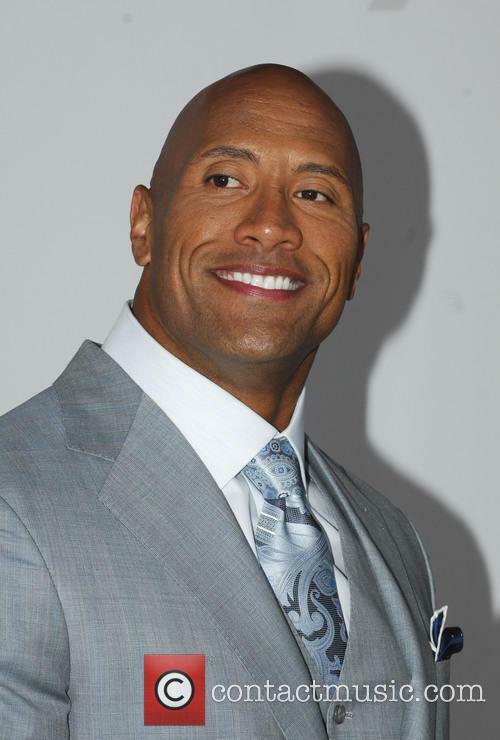 Dwayne Johnson is returning to the 'Fast and Furious' films, reprising his role as Hobbs in the eighth instalment. 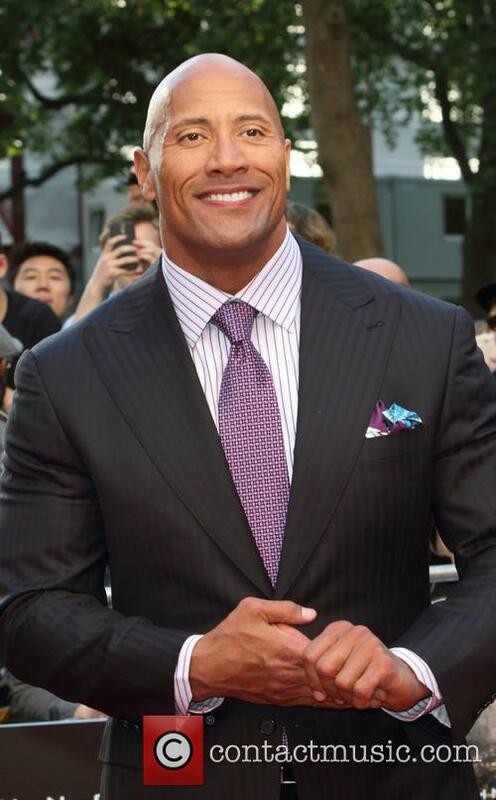 Dwayne Johnson has confirmed he will be appearing in the eighth instalment of the Fast and Furious movie franchise. 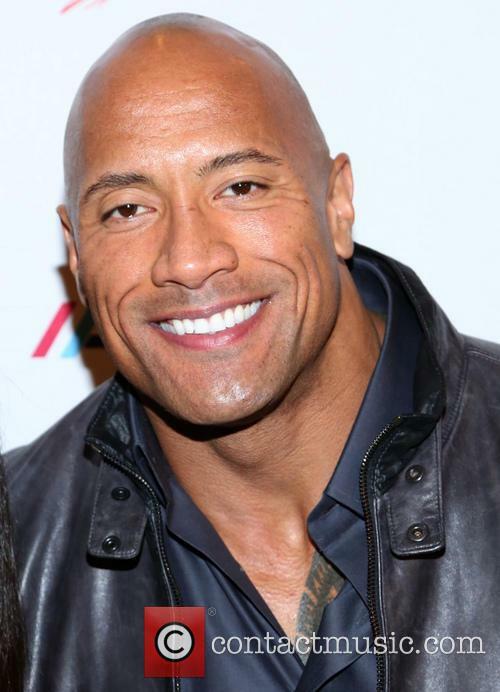 The 43-year-old actor, also known as The Rock, will be reprising his role as Hobbs in the upcoming Fast and Furious film. Hobbs, a bounty hunter and member of the Diplomatic Security Service, has appeared in the past three Fast & Furious movies: Fast Five, Fast & Furious 6 and Furious 7. 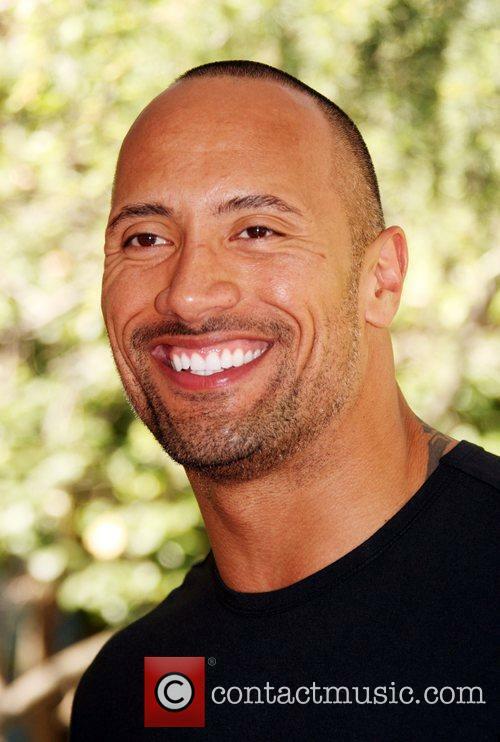 Dwayne Johnson is returning as Hobbs in Furious 8. 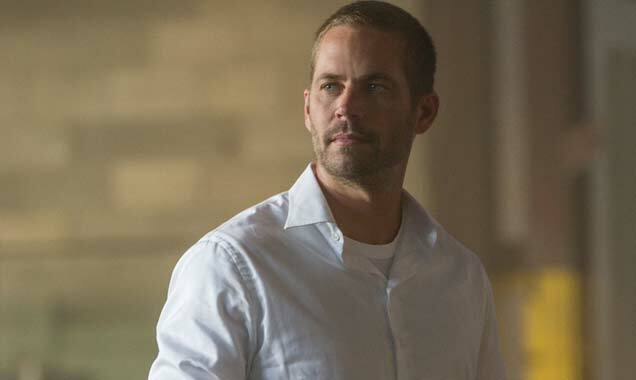 Read More: Furious 7 Breaks American And International Box Offices. The star of ‘Furious 7’ and ‘San Andreas’ is the latest Hollywood star to be immortalised outside the TCL Chinese Theatre on Hollywood Boulevard. 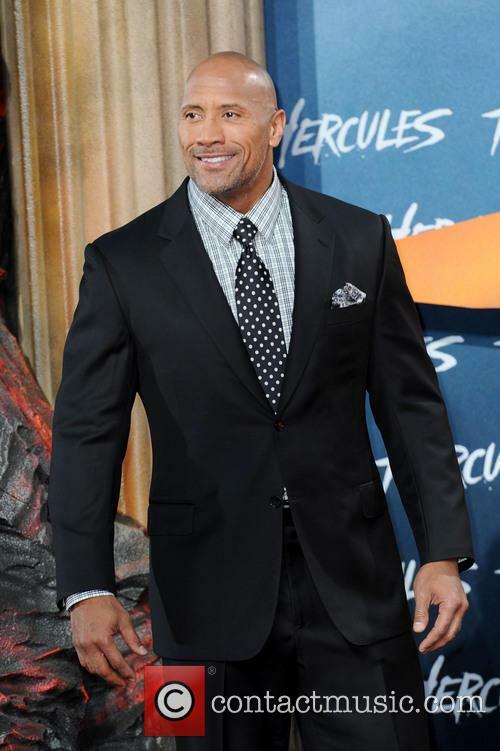 WWE wrestler turned movie star Dwayne ‘The Rock’ Johnson was immortalised in Hollywood on Tuesday, with a hand and footprints ceremony at the famous TCL Chinese Theatre on Hollywood Boulevard. 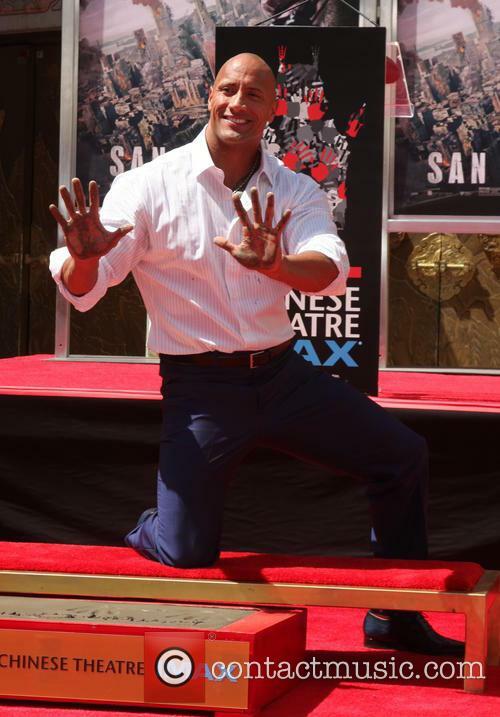 Dwayne ‘The Rock’ Johnson leaves his hand and footprints outside the Chinese Theatre. Along with his hand and footprints Johnson also singed his name in the wet cement outside the legendary theatre, as well as writing the word ‘blessed’. In his speech the actor thanked his friends and family and spoke of how he needed time to process just what was happening. The man who threw sugar at the Maroon 5 singer this week was sentenced with three years of probation and counselling sessions. Navid Farsi, the man who struck Maroon 5 lead singer Adam Levine in the face with a bag of sugar this week, has been sentenced to three years of probation after pleading no contest to one charge of battery. 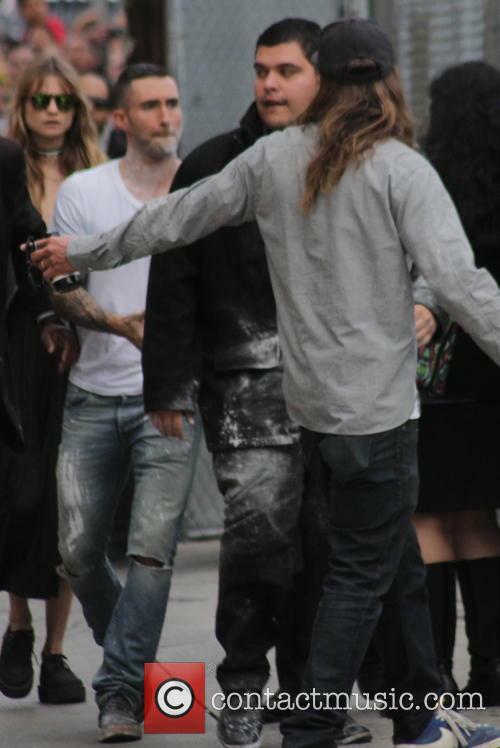 The singer was arriving at a studio near Hollywood Boulevard to appear ‘Jimmy Kimmel Live!’ on Wednesday (May 6th), and was greeting fans when Farsi lobbed a bag of confectioner’s sugar at him, hitting him in the face and bursting, leaving Levine covered in white powder. He was immediately wrestled to the ground and detained until the police showed up to arrest him. ‘The Longest Ride’ provide no match for the seventh ‘Fast and the Furious’ instalment. Furious 7 is still sitting on top of the US box office, after taking $60.6 million in its second weekend. The action packed sequel opened last weekend to a record-breaking $147.2 million and has fallen just 59% in week two. 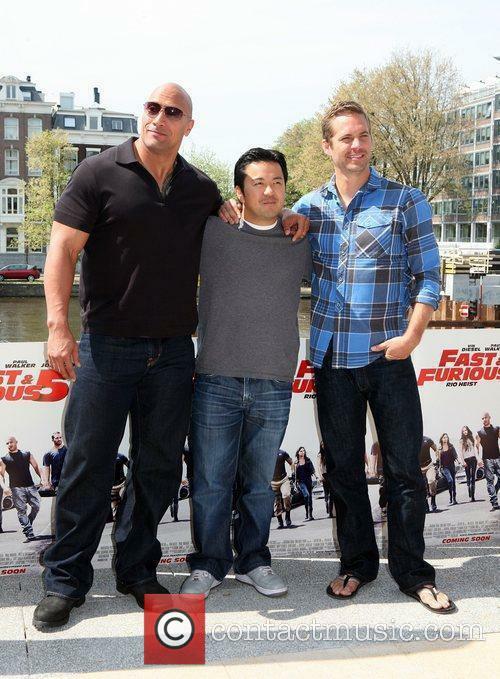 The film is now well on the road to become the highest-grossing film in the history of the Fast and Furious franchise. The seventh instalment stars Vin Diesel and Dwayne ‘The Rock’ Johnson and also deals with the death of star Paul Walker, who was killed in a car accident in 2013 before the film was completed. Despite being the seventh addition in the franchise, 'Furious 7' opened to the highest box-office for the first week in the franchise. In less than a week, the seventh film in the 'Fast & Furious' franchise has passed $500 million at the global box office, and doesn't look likely to slow down until the end of the month, when 'Avengers: Age of Ultron' arrives. 'Furious 7' is poised to not only maintain its dominance on box office charts, but the movie is certain to become 2015's biggest hit next weekend when it passes the global total earned by 'Fifty Shades of Grey' ($566 million). And it hasn't opened yet in major markets like China, Russia or Japan. In North America, 'Furious 7' had the fourth best opening of all time, after two 'Harry Potter films' and 'The Avengers'. In the UK, 'Furious 7' opened bigger than any 2014 release, and has already outgrossed the lifetime UK totals of all previous films in the franchise. Projections had forecast that 'Furious 7' would enjoy a nine-figure opening weekend in America, but its success across the globe has been astonishing. As widely predicted, Furious 7 romped to victory at American box offices this weekend, but what wasn’t expected was the scale of its success internationally. Incredibly, the film has debuted at number one in every single territory in which it’s been released thus far. The Universal flick, starring Vin Diesel, Dwayne ‘The Rock’ Johnson and the late Paul Walker, has taken a staggering $240.4 million from international box offices. Added to the receipts from the American domestic audience, that makes a total of $384 million in ticket sales since the release date of April 3rd, CNN Money reports. The movie could be headed for a $150+ million weekend. The Fast & Furious franchise is going out with a bang. Or, if we’re talking sounds, it’s probably more of a ka-ching. Since its release on Thursday, Furious 7 has already recorded the highest opening of 2015. On Friday, the flick made a spectacular $67.3 million, according to Box Office Mojo. Furious 7 gave Paul Walker a final tribute. The numbers put it on track to close the weekend past the $150 million mark. Of course, we won’t know until Monday morning. According to BOM’s stats, this puts the flick in tenth place for all-time biggest opening, on par with The Hunger Games and The Dark Knight. It's up 74 percent on Fast & Furious 6, which was the previous best debut in the 14-year-old franchise. 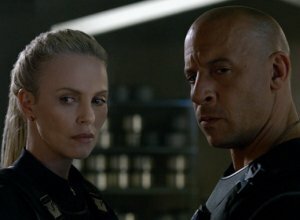 In a single day, Furious 7 has already earned more than the third instalment in the franchise (The Fast and the Furious: Tokyo Drift) grossed during its entire run. Dwayne Johnson hosted SNL and got up really, really close with the cast. 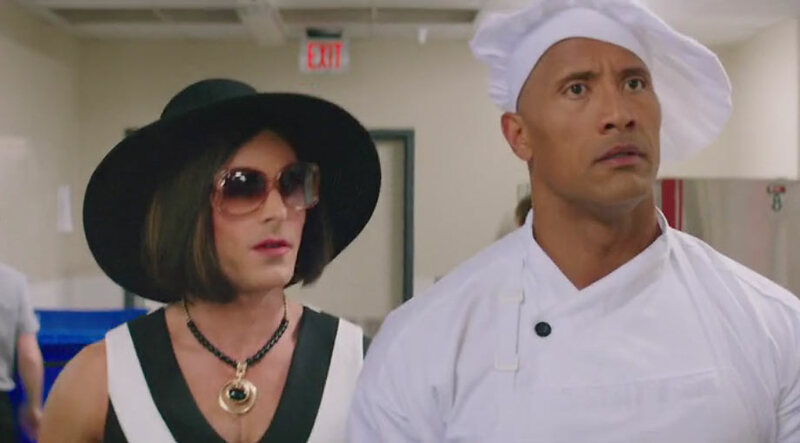 Saturday Night Live came back with a bang (you'll see what I mean) last night, with an episode hosted by Dwayne Johnson himself. Clearly, any attempts at subtlety were thrown out the window. Basically, Johnson spent a significant chunk of the show with his face thrust in another man's crotch in a "standing 69." Remember, guys, the Rock is a serious actor now. Yep, it was one of those episodes. The golden moment came during a segment depicting an "Indiana Jones" knockoff movie, "Escape From Jungle Island." Johnson, playing "Dr. Bones" - get it? Huh? You got it - plays an adventurer who finds himself on an island with a male companion, Shortlong, and a female companion, who's desperate for Dr. Bones' attention. "Furious 7" Trailer Revealed: Is This The End Of An Era? Is this the final Furious? The trailer kinda makes it seem so. The first trailer for Furious 7 (aka the seventh Fast & Furious) is out and here’s the good news – it’s faster and furious-er than ever. The late Paul Walker takes the honorary spot in a trailer that features him dangling off a cliff and then running up a bus dangling from that same cliff and into a truck... oh, you’ll just have to watch the trailer. Also, camels. 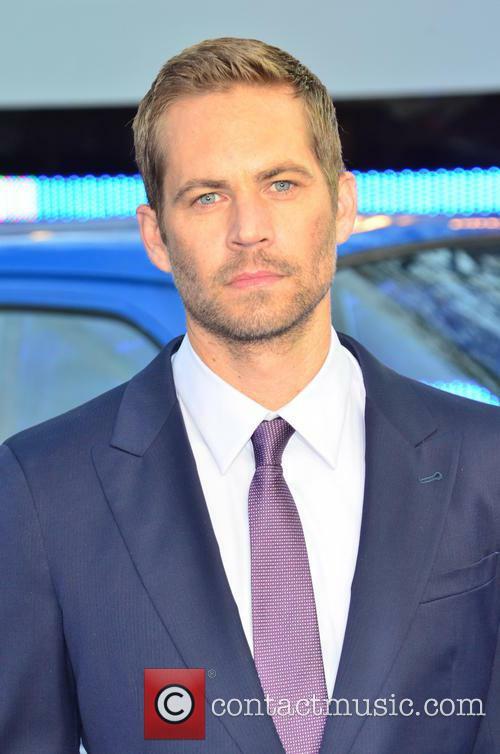 Almost a year after Paul Walker's death, the actor received another tribute at the trailer launch. No, I’m not even kidding. Featuring the ominous line “One last ride.” And Vin Diesel’s epic “I don’t have friends. I have family,” this one might actually be a tear-jerker. 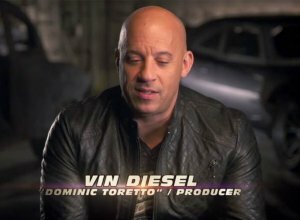 In some of the last material he filmed before his shocking death – in a car crash, of all things – last year, Paul Walker returns as Brian O’Connor, partnering with Vin Diesel’s Dominic “Dom” Torretto for one final heist. Continue reading: "Furious 7" Trailer Revealed: Is This The End Of An Era? Dwayne Johnson Will Star In A "Baywatch" Movie. Everything Is Beautiful And Nothing Hurts. You know when you hear about a combo and it’s so painfully perfect, you wonder why it hasn’t been done before? Picture this – Dwayne Johnson in Baywatch. Now stop imagining because this is actually happening, probably. Paramount, the marketing geniuses that they are, are moving forward with a Baywatch movie and Johnson is “loosely attached”, according to The Hollywood Reporter. The Rock will star in Baywatch. This is just too perfect for words. Rounding out the team so far are Justin Malen, who will re-write (well, write) the story and the comedy writing team of Sean Anders and John Morris (the guys behind We’re The Millers) to direct. 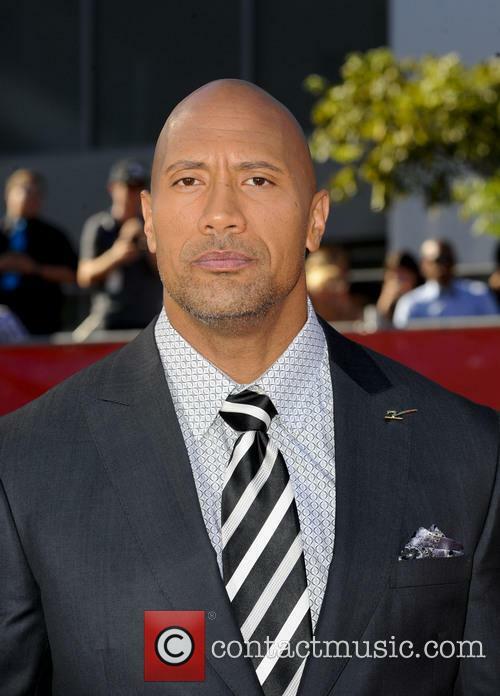 Continue reading: Dwayne Johnson Will Star In A "Baywatch" Movie. Everything Is Beautiful And Nothing Hurts. Dwayne 'The Rock' Johnson will finally star in a superhero movie, and it is fair to say he is the perfect man for the job. 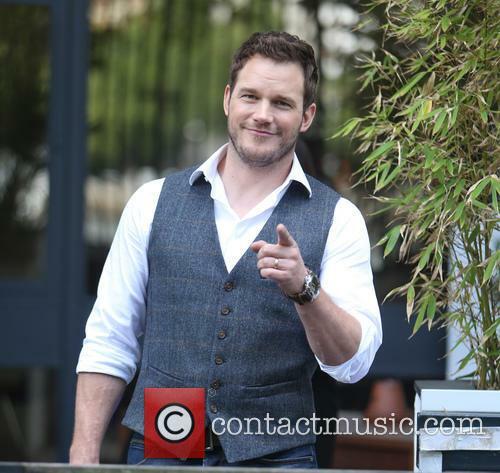 However, any fans getting excited about his upcoming role may be surprised to hear he won't be playing the good guy. Johnson hinted he has part of upcoming flick based on DC Comics' 'Shazam' late last month, but did not specify on the character he would be playing. Although many expected the former wrestling champion to take the lead in the adaptation, it has finally been confirmed he will become the superhero's arch nemesis, Black Adam. Dwayne Johnson has revealed the role he will be playing in the movie adaptation of Shazam. 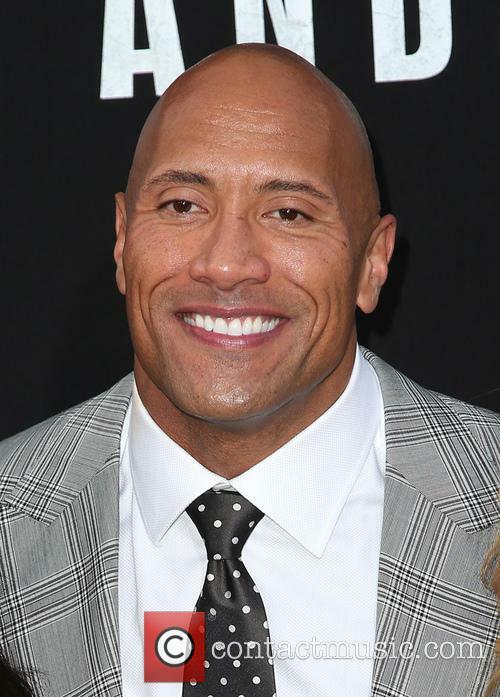 It was only a matter of time before Dwayne Johnson got a superhero makeover, and many expected him to take the lead in the new movie based on DC's Shazam adaptation, but the story's taken a twist- The Rock won't be the hero, he's going to be the villain. On Tuesday Johnson tweeted a picture of the villain Black Adam and made the announcement, saying it was his "honor to become..#BlackAdam". The wrestler turned actor has played a wide variety of roles, from an animated astronaut to a hockey playing tooth fairy, and fans have wondered for a long time when he would turn his hand to a superhero project. His latest project was the epic Hercules, in which he took on the role of the eponymous Greek hero. But the 42 year-old star still doesn't know which character he will play. While promoting 'Hercules' in Mexico City, the former WWE superstar confirmed that he will have a starring role in the superhero film, but admitted to not knowing which character he will be portraying. It will either be the protagonist Shazam or his nemesis Black Adam, according to the Associated Press. Dwayne ‘The Rock’ Johnson has finally confirmed his involvement with DC Comics and Warner Bros. on an upcoming movie about the superhero Shazam. The former Wrestling champion's mother and cousin were hospitalized after being hit head on by a female drunk driver. Even though Dwayne 'The Rock' Johnson is one of the toughest, biggest and muscle-bound actors in Hollywood, he is still a mommy's boy at heart, and this is clearly obvious when the 41 year-old picked up his mom from hospital after she was involved in a car accident. Johnson's 65 year-old mother, Ata Johnson, and his cousin, WWE NXT Diva Lina Fanene, were hospitalized after getting hit head on by a female drunk driver who was speeding away from the police, on August 2nd in Clermont, Florida. The intoxicated woman was also reportedly checked into hospital and later charged with driving under the influence. The drunk woman, who crashed into The Rock's mother and cousin, is now facing criminal charges for the head on collision. The female drunk driver, who crashed head on into the vehicle carrying Dwayne 'The Rock' Johnson's mother and cousin, was arrested and charged with driving under the influence on Monday (Aug 11th). The horrific car crash occurred on August 2nd in Clermont, Florida, even though Johnson only revealed the news Sunday (Aug 10th), and prior to the incident the drunk woman had already ran two red lights, TMZ reports. The actor shared that his mother and cousin were fine, but urged drivers to stay cautious. Dwayne Johnson had some unfortunate news for his fans today – the Hercules star’s mother and cousin were struck head on by a drunk driver. Johnson didn’t go into too much detail, but he did tweet about the accident. 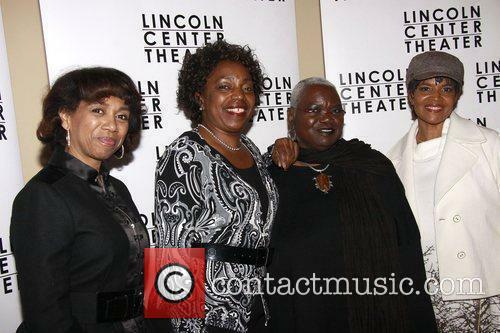 The wrestler turned movie star is very close to his mother, Ata Johnson and his cousin, Savelina Fanene. You do not want to mess with Johnson's family. Johnson posted a picture of the terrible aftermath of the crash. The fronts of both cars are smashed almost to bits, but his family managed to escape relatively unscathed. He used the traumatic moment to spread a message of love to his Twitter and Instagram followers – more or less. "First reaction was to find the person who did this and do unrelenting harm to them." The former WWE superstar's mother and cousin were lucky not to have died or suffered serious injuries in the horrific accident. This driver may have made the worst mistake of his life! 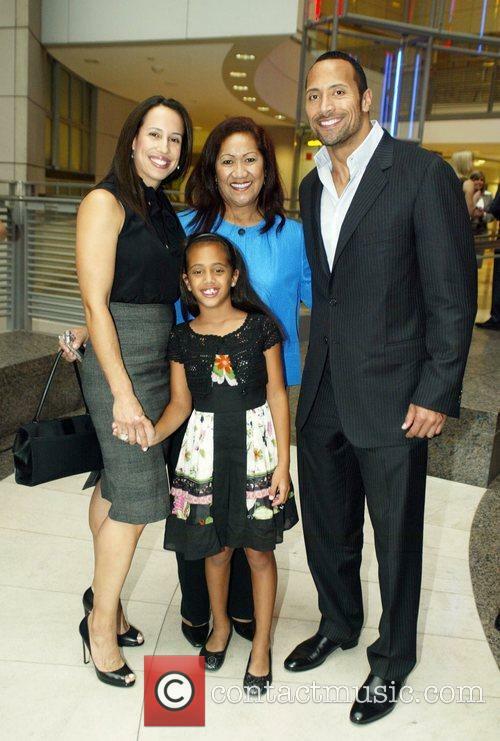 Dwayne 'The Rock' Johnson recently revealed some very scary news concerning two very close family members. The professional wrestling star's mother, Ata, and cousin, WWE NXT Diva Lina Fanene, were involved in a severe car crash earlier this week. The pair were travelling in the same vehicle when a drunk driver collided head on with them, Johnson confirmed on Sunday morning (Aug 10th) by posting a snap of the wreckage on Instagram. However, they fortunately survived the accident and only suffered fairly minor injuries. Think The Rock and Hulk Hogan are the only movie star wrestlers? Think again. Hoping to follow in the footsteps of Dwayne ‘The Rock’ Johnson, Dave Bautista, better known to WWE fans as Batista, is currently flexing his acting muscles on the big screen in Marvel’s Guardians of the Galaxy. But the former WWE champ is just the latest in a long line of wrestlers who have made the leap from the ring to movie theatres. Alongside Batista, here’s our pick of 10 wrestler movie appearances you need to watch out for. After a few direct to video movie appearances, Batista first properly hit the big screen in The Man with the Iron Fists alongside Russell Crowe. 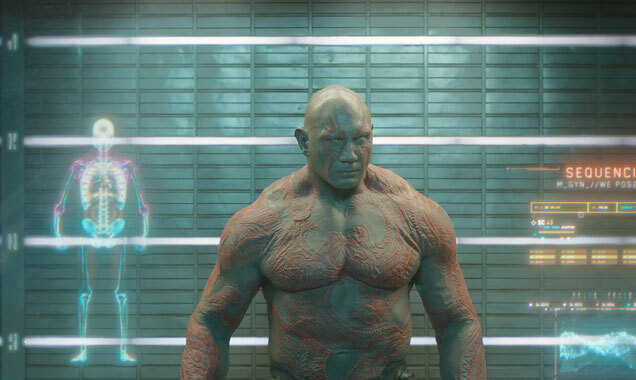 However his big break has come with the role of Drax the Destroyer in Marvel’s Guardians of the Galaxy. His next starring role will be in a remake of 1989 martial arts movie Kickboxer, originally starring Jean Claude Van Damme. 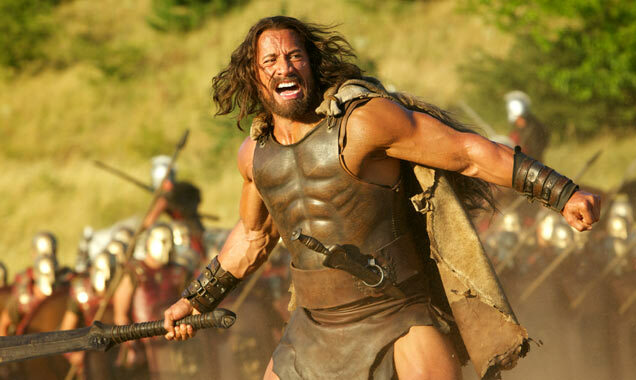 Two 'Hercules' Movie Releases This Year. One Is Very Good. 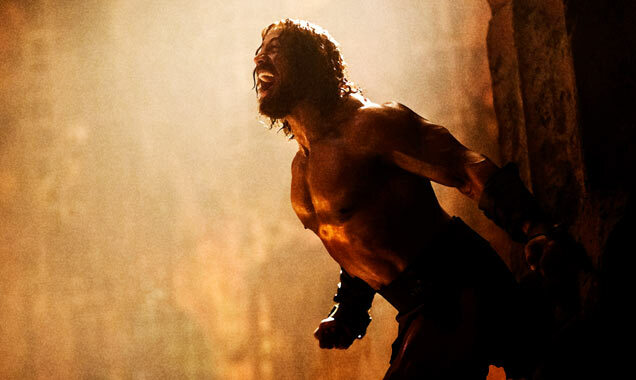 'Hercules' completes a double whammy for the legendary character. It happens almost every year: two films are released with virtually the same premise. Generally, one of them goes on to box office glory while fans remember the lesser-known film with fondness. This year, we have two incarnations of Hercules battling it out for supremacy. Kellen Lutz played the demigod in The Legend of Hercules, released in America in January and in Britain in March. Directed by Finnish action maestro Renny Harlin (Cliffhanger), the movie was shot in Bulgaria and earned a paltry $61 million at the global box office (it cost more than $70 million to make). Even worse, the film has a dire 3% positive rating from Rotten Tomatoes critics, and a slightly better 35% of audiences that liked it. 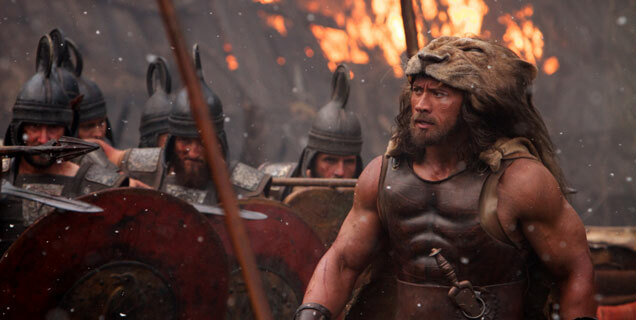 Continue reading: Two 'Hercules' Movie Releases This Year. One Is Very Good. Dwayne Johnson Battles His Way Through Non-Stop Absurdity In "Hercules"
No, it's not good, but The Rock is at his Rockiest. It’s Hercules time! 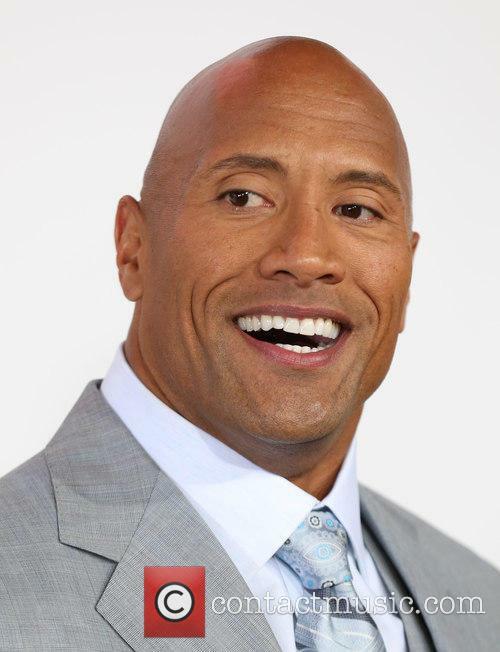 So we know that Dwayne Johnson made a lot of money off the mythical epic. And let’s be honest – it’s Dwayne Johnson and Greek myth, we’re definitely going to enjoy this. But is it actually a good movie? That’s the million – or in this case $110 million – question. Sadly, it looks like a firm “no” at this point. 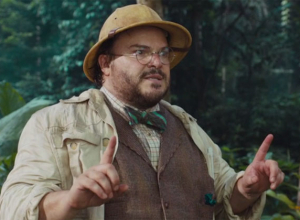 Well, if there's anyone who could pull off Herc, it's this guy. Critics from the UK, where the film has been out for a week, have already panned it as not worth the ticket. So far it’s been called “an artistically bankrupt misfire” (Digital Spy) and “crude, calorific and full of half-jokes” (The Telegraph). 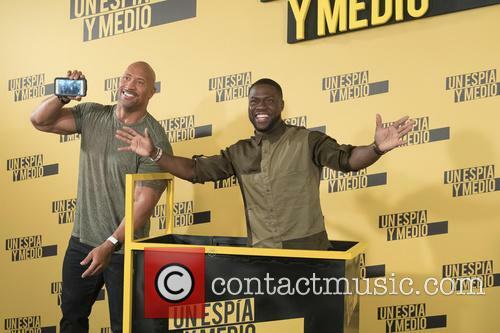 Continue reading: Dwayne Johnson Battles His Way Through Non-Stop Absurdity In "Hercules"
It was a week for photo-calls, as the cast of Dawn of the Planet of the Apes gathered in San Francisco. Andy Serkis, Gary Oldman, Jason Clarke, Keri Russell and director Matt Reeves were all on-hand to premiere the film and then pose for some picturesque shots in front of the Golden Gate Bridge. The film opens next week in the US and July 18th in the UK. 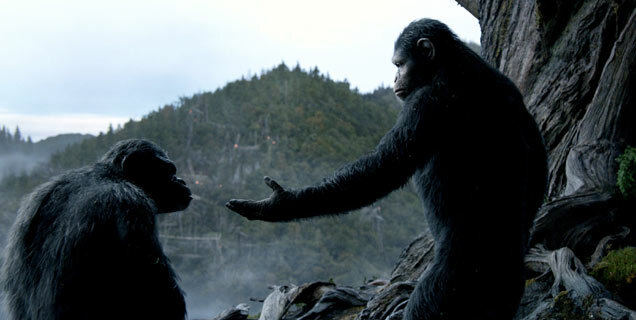 Watch 'Dawn Of The Planet Of The Apes' trailer. 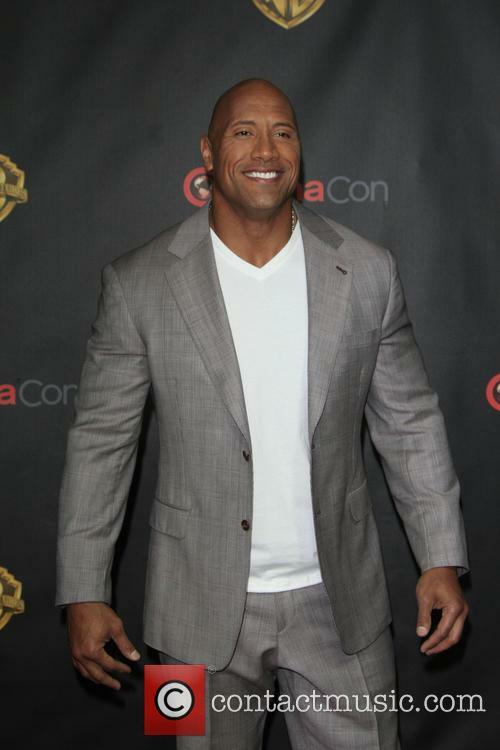 Dwayne Johnson and his costars in the blockbuster retelling of the Hercules myth gathered in London this week to meet the press. Director Brett Ratner introduced the cast and showed a new clip-reel before heading out into Trafalgar Square for a photo op with Johnson, John Hurt, Ian McShane, Reece Ritchie, Aksel Hennie, Ingrid Bolso Berdal and Irina Shayk. The film opens at the end of the month. Take a look at some photo's from the Hercules Photocall taken in London on Wednesday 2nd July 2014. After having tweaked the movie to allow for Paul Walker's death, Universal have pulled the 'Fast & Furious 7' release date forward by a week. The release date of the next Fast & Furious movie has been pulled forward by a week from the 10th April to the 3rd April 2015, Universal Pictures has announced. According to THR, the decision was made to allow the action sequel to have "more international playdates." The movie was originally scheduled for release this summer but actor Paul Walker's tragic death last November meant the filmmakers had to reconfigure some of the scenes he was scheduled to shoot. Walker died in a high speed Californian car crash along with his friend Roger Rodas and was killed instantly on collision with roadside obstacles. Walker will still be featured in Fast 7 but some of his scenes will have been edited to account for his unfinished filming. He will be seen starring alongside franchise returners Dwayne Johnson, Tyrese Gibson, Vin Diesel, Michelle Rodriguez, and Jordana Brewster.